The 1950 holiday classic “Silver Bells,” written by Jay Livingston and Ray Evans, was inspired by the sounds of the Salvation Army Santas ringing bells on New York City street corners during the annual Red Kettle Campaign. Those bells have also been ringing on the streets of Northeast Ohio for most of the Salvation Army Greater Cleveland’s 150-year history. But these days—due to store closures and high use of credit cards—Major Thomas Applin says the Salvation Army is finding new ways to boost its largest and most known fundraiser. So, this year the Salvation Army is turning to online donations, peer-to-peer fundraisers, and corporate sponsorships to raise additional funds this holiday season—and provide funding for Salvation Army programs and services throughout the entire year. “November and December are so critical to us,” says Applin, who came to Cleveland from the Buffalo Salvation Army in July. Applin says this year’s Red Kettle goal is $740,000, but the organization’s actual goal is $2 million when other fundraising avenues are included. That money goes toward food, shelter, and clothing for those in need, as well as educational and after-school mentoring programs and other causes like helping human trafficking victims. 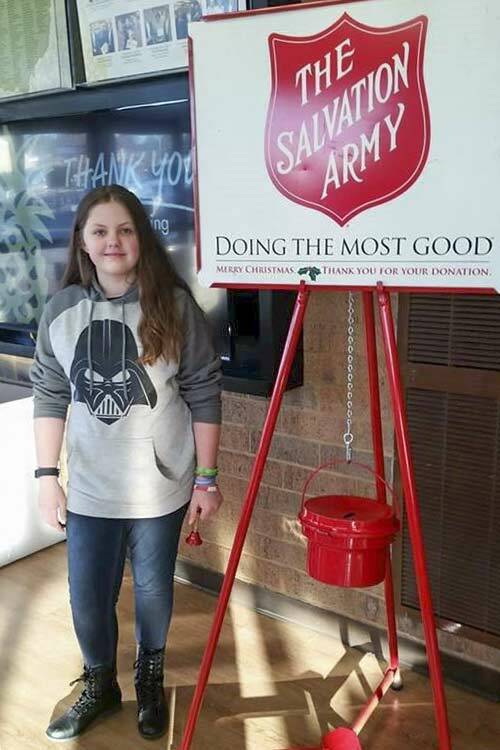 One way the local Salvation Army is making up for diminishing Red Kettle donations is to hold “Paper Kettle” campaigns with local partners. For instance, Hofbrauhaus Cleveland is selling paper kettles during the holiday season for a $5 donation to the Salvation Army, and Applin says they have also invited the Cleveland Salvation Army to be part of their seasonal doppelbock keg tapping on Wednesday, December 4. Other corporate sponsorships involve employees making donations for the right to dress down at work on a Friday. “If we could get 10 to 20 organizations across the county, that would be a great impact,” Applin says. If nothing else, Applin says they are always looking for bell ringer volunteers to man the traditional kettles.